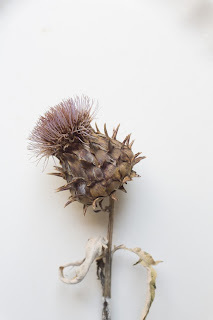 A lovely cardoon seed still life. Great list compiled by Jane Hu for The Awl exploring how "... particular snacks and foods often become intimately entwined with writers' daily routines." Fascinating and fun. For Vogue's 120th anniversary, Isabella Rossellini, Sarah Jessica Parker,Vera Wang and others share how Vogue launched their careers. Fascinating description of the Musée de la Poupée in Paris, a tiny museum with a permanent display of 500 antique dolls in little tableaux inside glass cabinets, themed exhibitions, a room for birthday parties, a doll’s hospital and a shop. Monty Python alum John Cleese offers brilliant advice on how to grow your creativity. A must see. A look behind the scenes at what goes into a $4,000 bespoke men's suit in New York. Fun vintage British Pathé film short from 1962 featuring ladies having their hair given that sci-fi look by stylists in futuristic clothing. 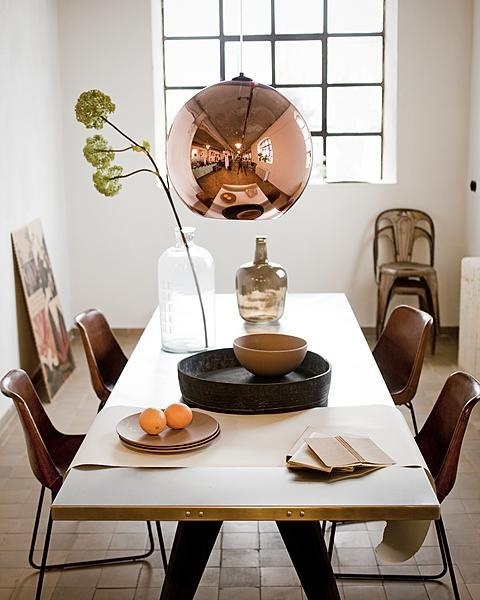 The future will be shiny! An amazingly simple and lovely recipe by Sweet Paul — perfect for fresh farmer's market tomatoes. 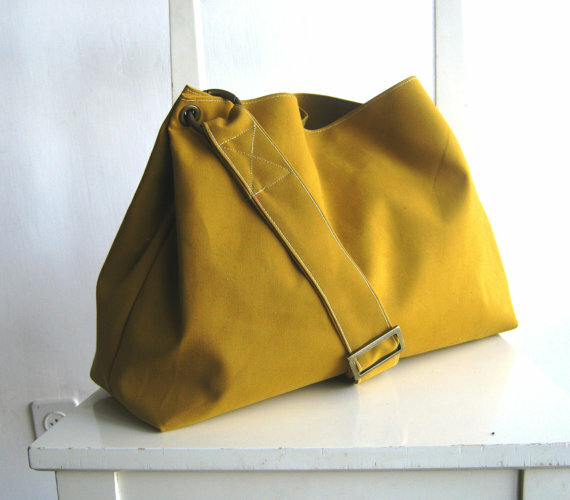 I'm smitten with this pretty mustard tote by rutinet design on etsy — perfect for fall. Find it here.